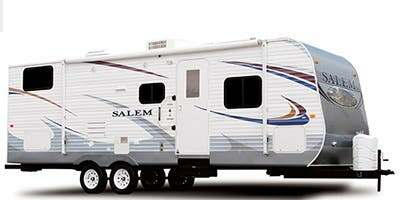 If you’re about to purchase a trailer you probably want to know, what should I be paying for my new/used trailer? I’ve purchased multiple trailers in the past and I can tell you that, most the times spending a little bit of extra money can go a long ways. Many times you can save money by buying an off-brand trailer, and I can also tell you that there’s a lot of other things you can do that will save you some big bucks. 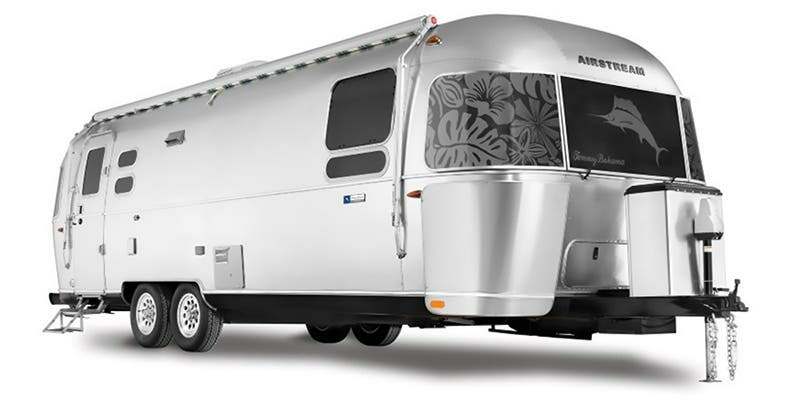 How much does an average travel trailer cost? Well it’s going to depend on your needs and wants. We’ve done all the hard research for you and found you some of the cheapest ones on the market, as well as some more luxurious models that could cost you a pretty penny. 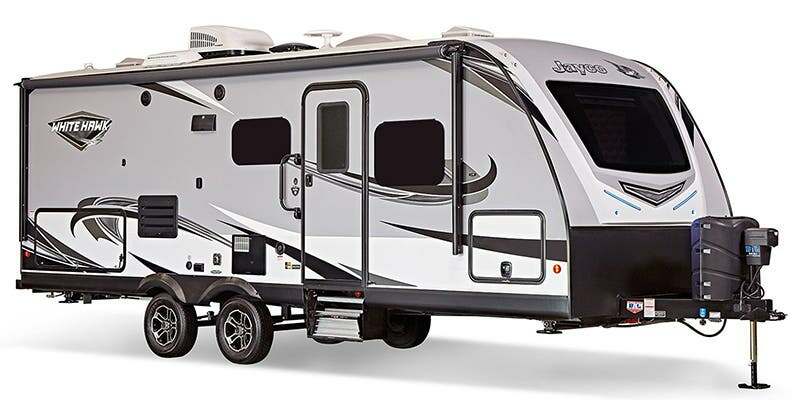 There’s a wide range of what a travel trailer is going to cost you. 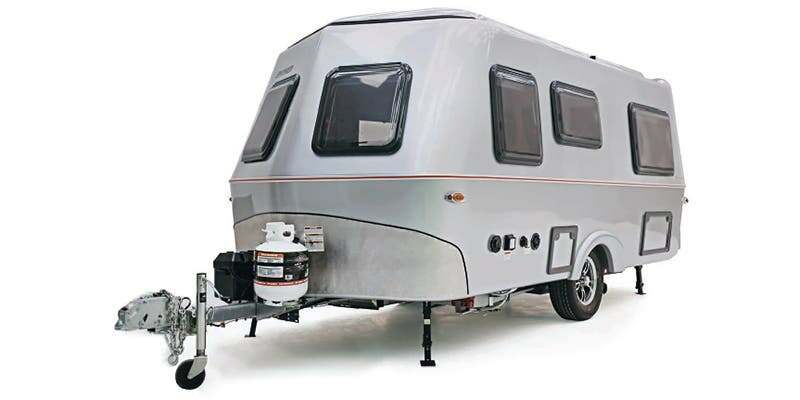 You can get an inexpensive 3,000 pound, 260 inch travel trailer (Starcraft Autumn Ridge Mini 18QB) for around $10,000, or you can go all the way up to a trailer that’s going to cost you in the much more expensive range of close to $110,000 for a 6,517 pound 371 inch trailer (2019 Airstream International Signature 30RB Twin). 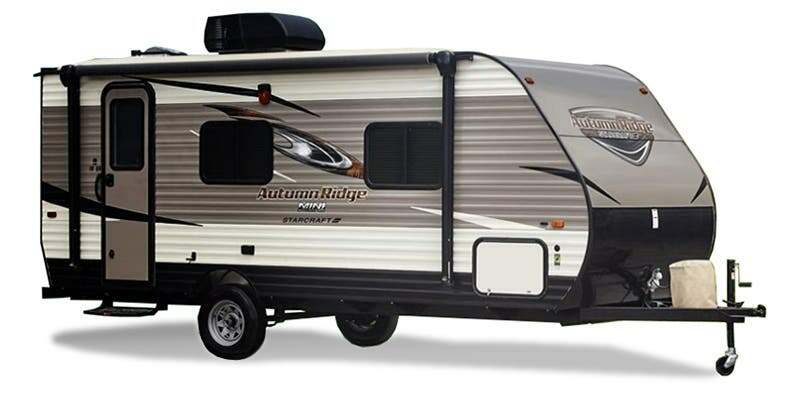 To give you a better idea of what’s all included in a smaller RV, here’s a YouTube video where you can get a closer look at the Mini Autumn Ridge travel trailer. 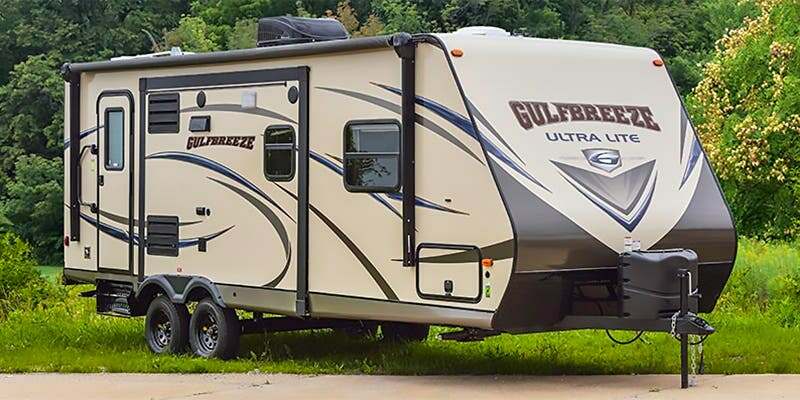 Always be mindful that there’s going to be a lot of other costs when it comes to purchasing a trailer, such as buying a black water hose, a generator, paying to winterize your trailer annually, batteries, sales tax, dealer documents, and title fees. 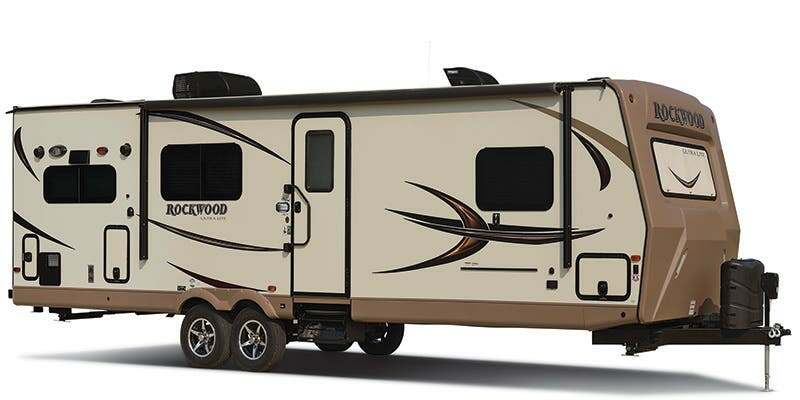 You’re also going to want to make sure you have a storage place to store your trailer. 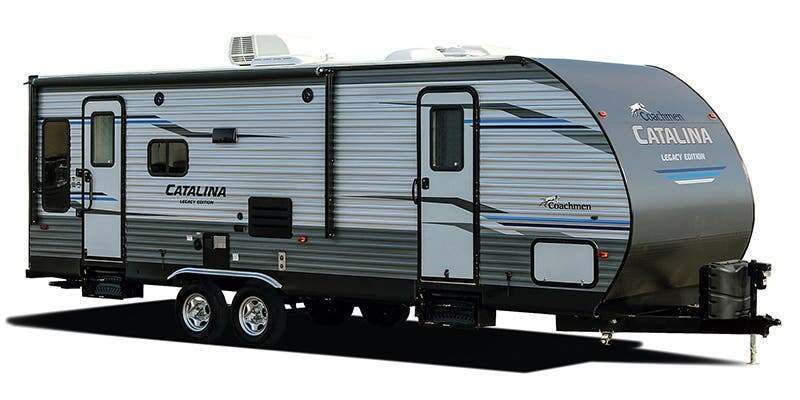 This trailer sleeps three people. 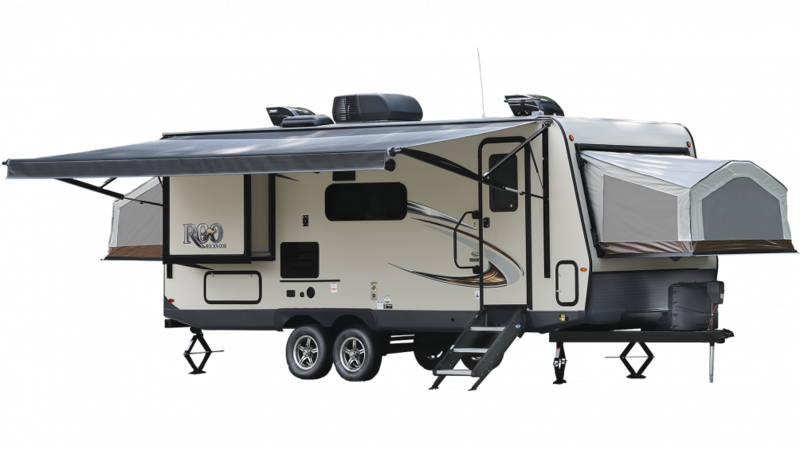 One power retractable 13-foot awning… Automatic A/C. Two Stoves. One radio. One CD player for one disk. One queen size bed. One convertible bed. • Fresh Water Holding Tanks – One 26 gal. • Gray Water Holding Tanks – One 15 gal. • Black Water Holding Tanks – One 9 gal. Sleeps six people. One power retractable 18 foot awning. One power retractable slideout. Mid-size refrigerator. Three stoves. One queen size bed. Two convertible beds. • Fresh Water Holding Tanks – One 38 gal. • Gray Water Holding Tanks – One 39 gal. • Black Water Holding Tanks – One 39 gal. Sleeps eight people. Two power retractable slideouts. One power retractable 20 foot awning with integrated speakers. Three stoves. Mid-size refrigerator. One sofa. Two bunk beds. One queen size bed. Two convertible beds. • Fresh Water Holding Tanks – One 44 gal. • Gray Water Holding Tanks – One 87 gal. • Black Water Holding Tanks – One 30 gal. Sleeps four people. One power retractable awning. Three stoves. Automatic heater and A/C. One double size bed. One convertible bed. • Fresh Water Holding Tanks – One 23 gal. • Gray Water Holding Tanks – One 21 gal. • Black Water Holding Tanks – One 18 gal. Sleeps four people. One power retractable awning. One power retractable slideout. Mid-size refrigerator. Three stoves. One queen size bed. One convertible bed. • Fresh Water Holding Tanks – One 50 gal. • Gray Water Holding Tanks – One 40 gal. • Black Water Holding Tanks – One 40 gal. Sleeps 10 people. One Slideout. Mid-size refrigerator. Three Stoves. Automatic heater and A/C. Two double beds. One queen size bed. Two convertible beds. • Gray Water Holding Tanks – One 30 gal. 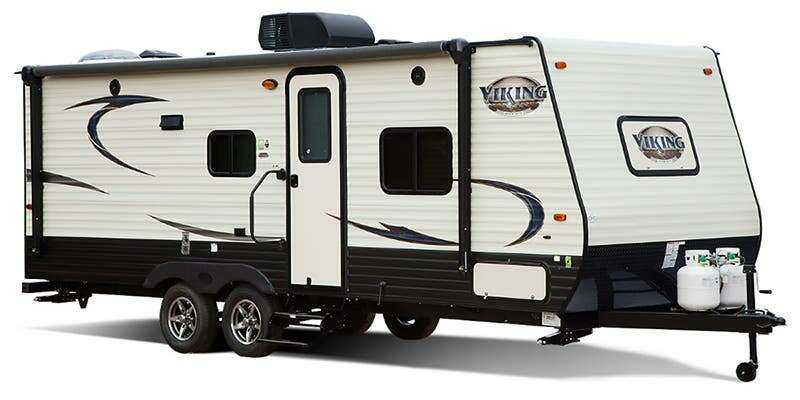 Sleeps 10 people comfortably. One sofa. Midsize refrigerator. Heater and A/C. Three bunk beds. One queen size bed. Three convertible beds. • Fresh Water Holding Tanks – One 52 gal. • Gray Water Holding Tanks – One 78 gal. • Black Water Holding Tanks – One 28 gal. Sleeps nine people. Three stoves. One awning. Mid-size refrigerator. Automatic heating and A/C. One bunk bed. One double bed. One queen size bed. Two convertible beds. • Fresh Water Holding Tanks – One 37 gal. Sleeps six people. One power retractable 15 foot awning. Three slideouts. Mid-size refrigerator. One queen size bed. Two convertible beds. • Fresh Water Holding Tanks – One 43 gal. • Gray Water Holding Tanks – One 37 gal. • Black Water Holding Tanks – One 37 gal. Sleeps four people. One sofa. One television. Air conditioning. Compact refrigerator. One king size bed. One convertible bed. • Gray Water Holding Tanks – One 20 gal. • Black Water Holding Tanks – One 4.6 gal. Sleeps five people. Automatic heating and A/C. Compact refrigerator. Two stoves. One Radio. One disk CD player. Two bunk beds. One double bed. One convertible bed. • Fresh Water Holding Tanks – One 27 gal. Sleeps six people. Two recliners. Two 21 foot awnings. Mid size refrigerator. Two power retractable slideouts. Three stoves. One queen size bed. Two Convertible beds. • Fresh Water Holding Tanks – One 42 gal. • Gray Water Holding Tanks – One 30.5 gal. • Black Water Holding Tanks – One 30.5 gal. Sleeps six people. One awning. Mid size refrigerator. Three stoves. Automatic A/C and heater. One queen size bed. One convertible bed. • Fresh Water Holding Tanks – One 40 gal. • Gray Water Holding Tanks – One 31 gal. • Black Water Holding Tanks – One 31 gal. Sleeps nine people. Mid size refrigerator. One power retractable awning. Two power retractable slideouts. Three stoves. Two sofas. Two bunk beds. One queen size bed. Three convertible beds. • Fresh Water Holding Tanks – One 45 gal. • Gray Water Holding Tanks – One 38 gal. • Black Water Holding Tanks – One 38 gal. Sleeps 10 people. Full-size refrigerator. Three power retractable slideouts. One power retractable 21 foot awning. Three stoves. One sofa. Two recliners. Two bunk beds. One queen size bed. Two convertible beds. • Fresh Water Holding Tanks – One 60 gal. • Gray Water Holding Tanks – One 86 gal. • Black Water Holding Tanks – One 44 gal. Sleeps 10 people. Mid-size refrigerator. Three stoves. Two power retractable slideouts. One power retractable awning. Automatic heater and A/C. Two bunk beds. One double bed. Two convertible beds. • Gray Water Holding Tanks – One 66 gal. • Black Water Holding Tanks – One 32 gal. Sleeps six people. One sofa. Three stoves. One power retractable awning. Mid-size refrigerator. Two bunk beds. Two convertible beds. • Fresh Water Holding Tanks – One 54 gal. Sleeps six people. Two recliners. Mid-size refrigerator. Three stoves. One 21 foot power retractable awning. One power retractable slideout. Automatic heating and A/C. One queen size bed. Two convertible beds. • Gray Water Holding Tanks – One 70 gal. Sleeps six people. One sofa. One power retractable 20 foot awning. Two power retractable slideout. Three stoves. Mid-size refrigerator. One queen size bed. Two convertible beds. • Gray Water Holding Tanks – One 60 gal. Sleeps eight people. Two power retractable slideouts. One power retractable 19 foot awning. Three stoves. Mid-size refrigerator. One sofa. Two queen size beds. Two convertible beds. • Fresh Water Holding Tanks – One 58 gal. This should give you a better idea of what you’re looking for to start out. Depending on the size and needs of your family, will depend on what you should be looking for. Not everyone needs to sleep eight or more people, and not everyone desires to have awnings and slideouts. You can always negotiate the price at the dealership and discuss adding or removing anything that you want or don’t want. 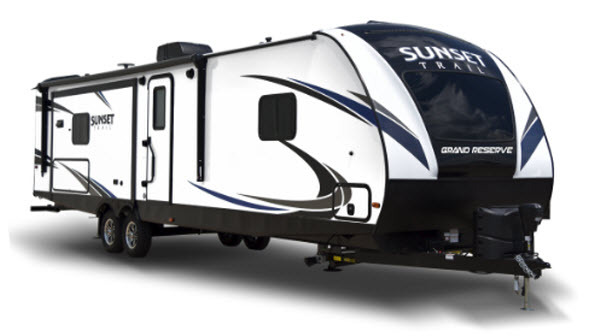 If you’re looking for a great place to buy a new or used travel trailer, feel free to head on over to RV USA or RV Trader. Both sites have great deals that you won’t be able to find anywhere else. You should be able to find exactly what you’re looking for. 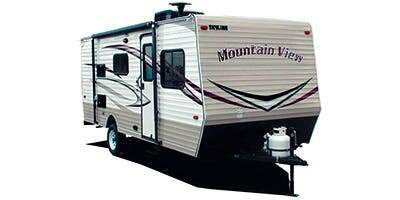 Also, check out any of the RV’s listed here in your area by going to RV Share and renting one. 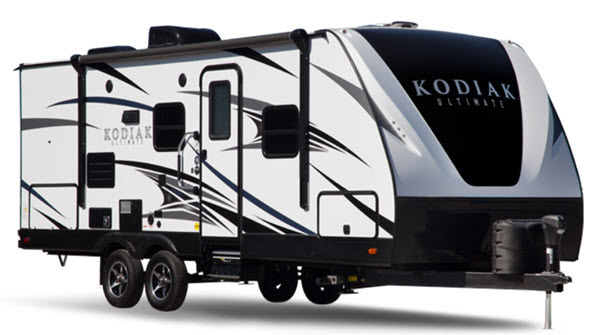 Since a lot of travel trailers look good on the inside and the outside, you have to be careful about the quality of the trailer when using it. 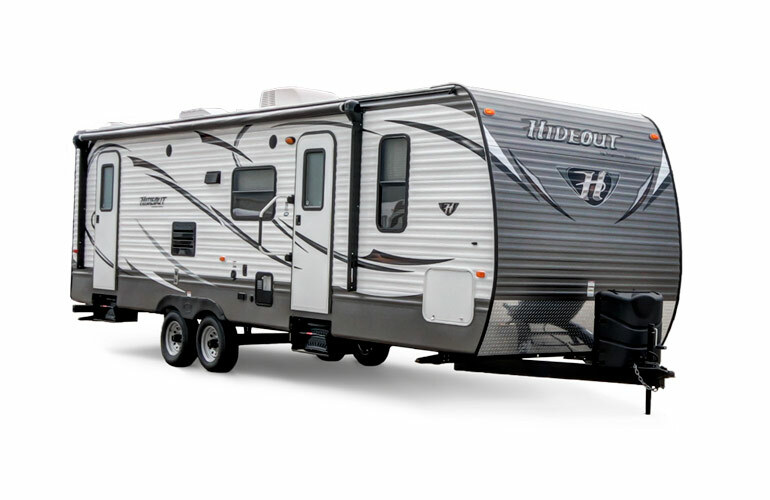 We always recommend renting a travel trailer first before buying it to make sure that it’s well manufactured. There’s a lot of horror stories out there of people buying travel trailers only to have a ton of things go wrong. Make sure to do a little more research and see what other people have to say before buying it. 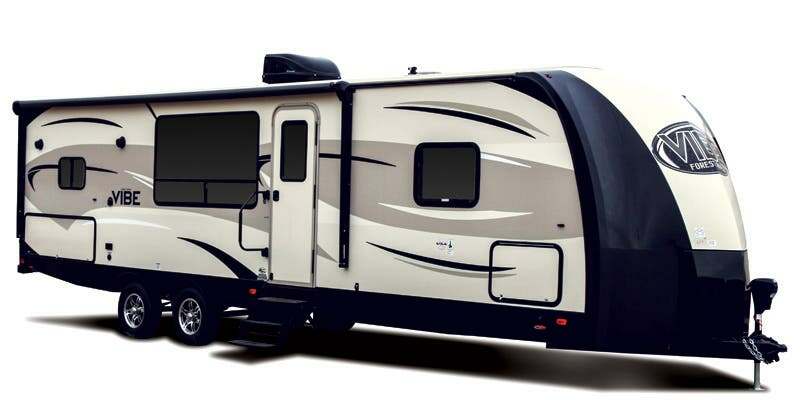 If you’re looking for a great place to rent a travel trailer, we suggest going to RV Share and trying it out first before deciding to buy it.